Prime Minister Sheikh Hasina today asked the new cabinet to work with sincerity and honesty to fulfill the hopes and aspiration of the countrymen who reelected Awami League with huge mandate. 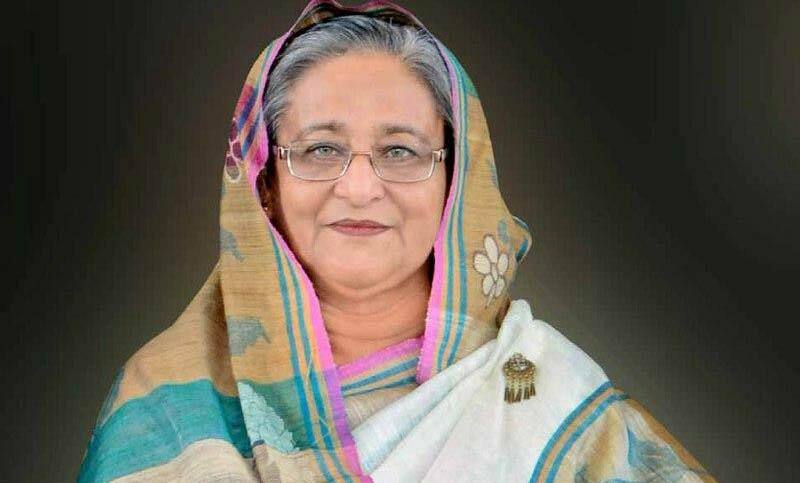 “You’ll have to work with utmost honesty and sincerity to achieve our goal of establishing Bangladesh as a hunger-and-poverty-free developed and prosperous country,” she said in her introductory speech of the maiden meeting of the new cabinet held at the Prime Minister’s Office (PMO) at Tejgaon here this morning. The first meeting of the new cabinet led by Prime Minister Sheikh Hasina was held today, two weeks after the formation of the new Awami League government on January 7 after the AL-led Grand Alliance’s landslide victory in the 11th parliamentary elections on December 30. At the outset of the meeting, Cabinet Secretary Mohammad Shafiul Alam greeted the prime minister by presenting her with a bouquet, meeting sources said. Sheikh Hasina said that there are responsibilities and duties of the government towards the people of the country who voted Awami League government to power for the third consecutive time. “We are here to perform that duty, and the power of honesty is endless — we have been able to prove that time and again,” she said. The prime minister said that the country will advance further if the cabinet works with sincerity and honesty. She mentioned that the people of the country have a huge expectation from the newly-formed government and the government has to fulfill that desire. She also said that the dream of Father of the Nation Bangabandhu Sheikh Mujibur Rahman was to bring smile on the faces of distressed people. “That is also our desire, we will work with that desire, we will fulfill that desire, we will build Bangladesh as the country free from hunger and poverty,” she added. Sheikh Hasina said that the pace of progress and development that the Awami League initiated in its two past terms have to be advanced in the coming days. She said her previous governments have successfully finished many projects, while many mega schemes are under implementation. “The new cabinet will maintain the continuation of those works,” she said. Awami League President Sheikh Hasina took oath as the prime minister for the fourth time, the third in a row, heading a 47-member council of ministers on January 7, a week after the Awami League-led Grand Alliance’s landslide victory in the 11th parliamentary election held on December 30. The new cabinet comprising 24 ministers, 19 state ministers and three deputy ministers took oath at a state ceremony at Bangabhaban Darbar Hall on Jan 7 afternoon.